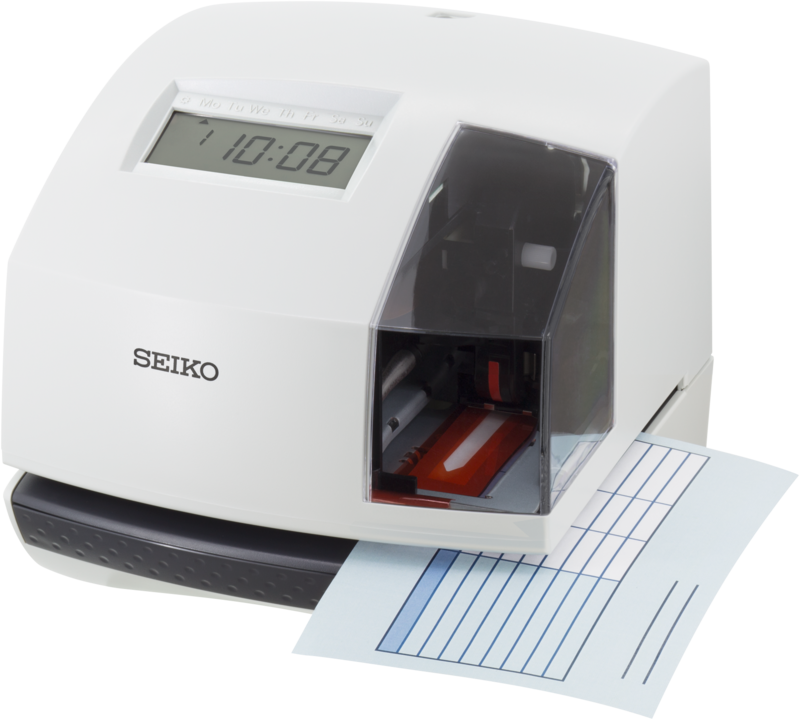 Introducing the all new SEIKO TP-6 low cost time & date stamp product from Seiko Solutions Inc., Japan. 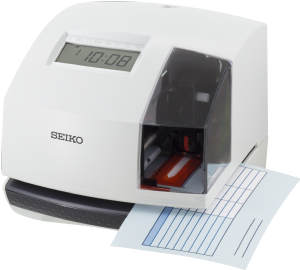 Based on SEIKO’s extensive experience in the field of highly reliable mechanical time recording and time & date stamping with products such as its well-known predecessor, the TP-20 for example, the TP-6 provides the essential features of time & date printing in different formats combined with a highly durable and reliable printing mechanism. The TP-6 offers standard time & date printing which can be combined with 13 pre-set comments, the print set being created on the machine itself. Download the leaflet by clicking on this link - SEIKO TP-6 Leaflet.